The pig is one of the oldest forms of livestock. It is believed that pigs were domesticated as early as 5000 BC. While pigs were mainly used for food, their hide and bones were also used to craft shields, shoes, tools and weapons. They have also been prized by chefs for their sensitive snouts: they are one of the animals we use to lead us to buried truffles in the forests of Europe. 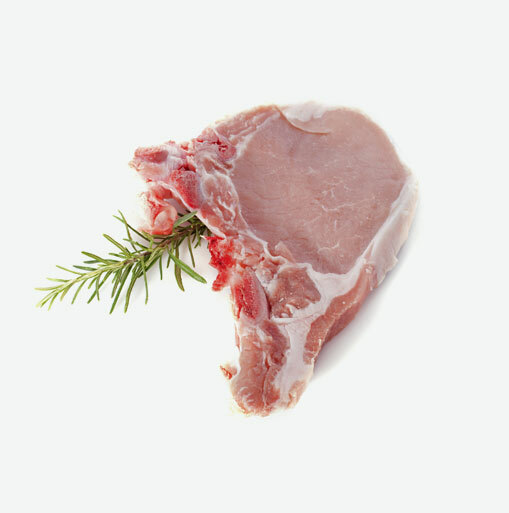 Pork meat is one of the most widely consumed meats in the world. Depending on the cut of pork, it is versatile, easy to prepare, quick to cook and delicious. Following a healthy and well-balanced diet is one of the most important things you can do to achieve and maintain overall good health. Many cuts of pork are lean and can be part of a healthy diet, even if you are trying to eat “heart smart”, manage diabetes, lose weight or just generally eat well. Research has shown that eating adequate amounts of lean protein in your diet helps to stabilize blood sugar, increase satiety (the feeling of fullness after eating), and helps to maintain lean muscle mass even if losing body weight. The fat in pork is trans-fat free and mostly mono-and poly-unsaturated, so trimmed pork is suitable for even cholesterol-lowering or “heart-healthy” diets. Lean pork, when trimmed of visible fat, is nutrient-dense, satisfying, and good for you. Pork is a great source of protein, vitamin B12, vitamin B6, thiamine, niacin, selenium, zinc and phosphorus. When choosing fresh pork, always check the “best before” or “packed on” date. A good rule of thumb if you are not going to cook pork within two days of purchasing it is to wrap it in plastic wrap and place it in a zipper-lock freezer bag. Make sure it’s air tight before freezing. Hot weather is especially dangerous; never leave groceries in the back of your vehicle for any length of time. Put your fresh meat products in a cooler, a cardboard box, or for those stores that carry them, an insulated bag. You don’t have to overcook pork. In the past, it was recommended that pork be cooked “very well” to be safe, because of the risk of trichinosis. This, unfortunately, often resulted in dry, tough meat, and some people still associate pork with this negative experience. Fortunately, with improved food safety knowledge and better production methods in Canada, trichinosis is no longer a risk in Canadian pork. Pork can be cooked safely to (160°F/71°C) or less, which produces a juicy and tender meat. When cooked to this temperature, pork may still have just a hint of pink in the middle, for instance inside a cooked roast or very thick chop. The exception is ground pork and sausage, which, like all ground meats, should be cooked thoroughly. The best way to know if meat is cooked properly is to use a meat thermometer, inserted into the thickest part of the meat, to check the internal temperature (160°F/71°C). For roasts, including tenderloin, you can remove the pork from the oven when the internal temperature reaches 155°F/68°C, then cover loosely with aluminum foil – the temperature will rise to the recommended 160°F/71°C after 10-15 minutes as the roast sits. If the cut of meat is too thin to check with a thermometer, you can pierce cooked meat with a fork or knife and look to see if the juices are clear. Pork is as versatile as the cut of meat you choose. You can stir fry it, cook it in stews, roast it, bake it, grill it and braise it.